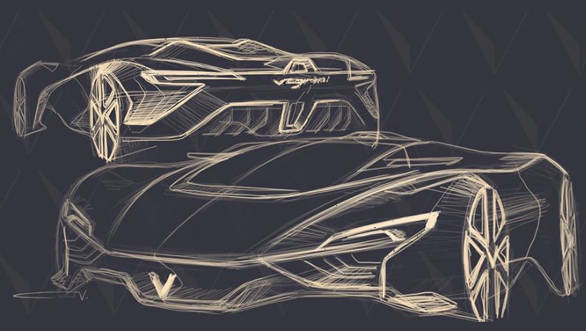 In grand exotic-automobile tradition, Vazirani Automotive, based in Mumbai, is set to reveal the country's first hypercar concept to an international audience at the 2018 Goodwood Festival of Speed, July 12-15. Vazirani Automotive was founded by Chunky Vazirani, a graduate from the Art Center in California and with design experience from Rolls-Royce, Jaguar and Land Rover. The concept, named the Shul (pronounced 'shool') is a limited production hypercar for the road, with a primary focus on evocative design. The Shul concept is said to have been designed under the guidance of Kazunori Yamauchi, the producer of the Gran Turismo video game series. With the Shul concept, a new Inspire GT category within the latest Gran Turismo GT Sport will take shape. 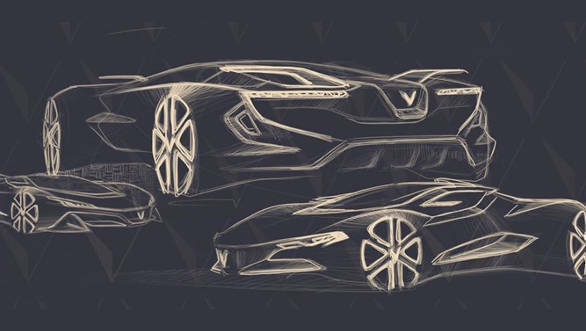 Tantalisingly little can be seen of the design in the brand's YouTube teaser but points to an exotic shape reminiscent of a road-going, Le Mans prototype, much in the same vein of other boutique hypercars from Hennessey to Koenigsegg. 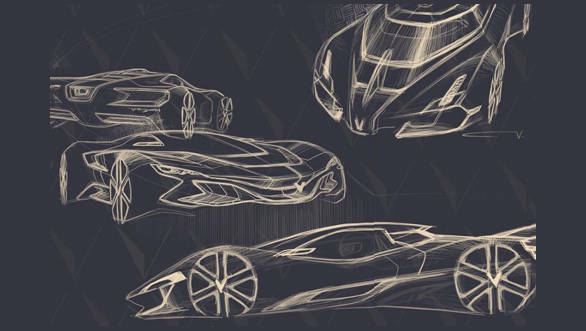 Complex, taut surfacing still puts form above function, though aero elements can clearly be seen around the car from the various iterations shown in sketches. While details of what's under the hood are scarce, the Shul will pack a non-conventional drivetrain consisting of a mini-turbine range extender in conjunction with a battery pack. At this point it is unclear whether the mini-turbine will power the vehicle primarily as well, but it will charge the on-board batteries. 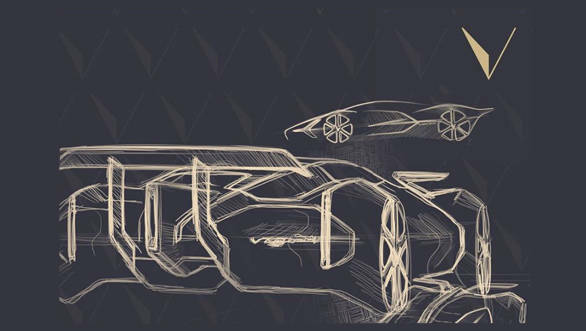 It will also bring the signature turbine 'whoosh' to the driving experience, an important factor according to the company, in making non-conventional propulsion seem more engaging and exciting. The Vazirani Shul will certainly have its work cut out for it, with the kind of illustrious company usually seen at the Goodwood Festival of Speed. With the world watching, let's hope our country's first hypercar delivers.